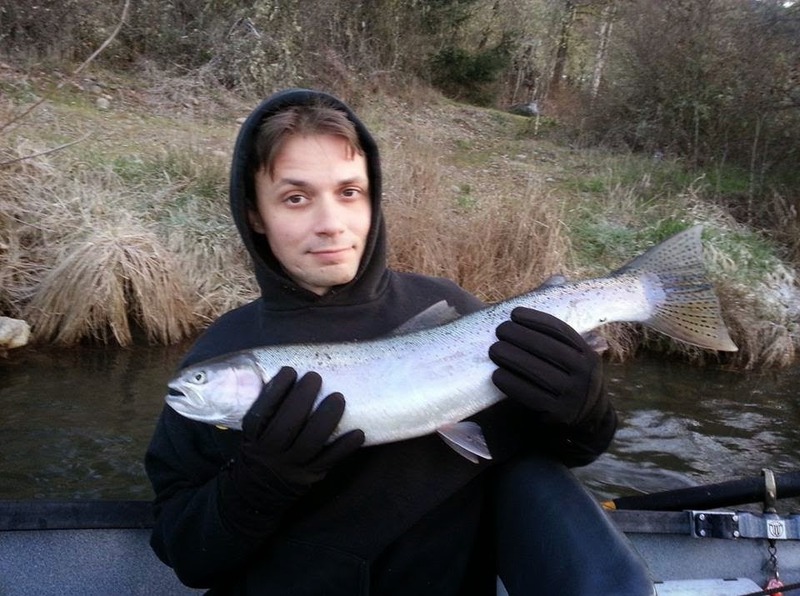 Fishing the upper Rogue River continues to produces beautiful winter steelhead in March, 2014. There are a lot of big fish around this year and thousands of hatchery steelhead are still making their way upstream. With the light rain showers we are currently seeing in the Rogue Valley the steelhead are on the move and even more eager to bite. This aggressive steelhead (shown below) was caught on the upper Rogue River today pulling plugs.